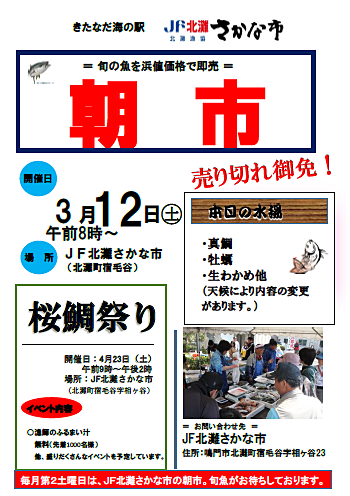 Event information｜The north rough sea fishermen's cooperative association of Naruto-shi, Tokushima runs "the city which is a slope" and "the fishermen's cooperative association dining room whirling current" using the fish which provide fresh delicious fresh fish. 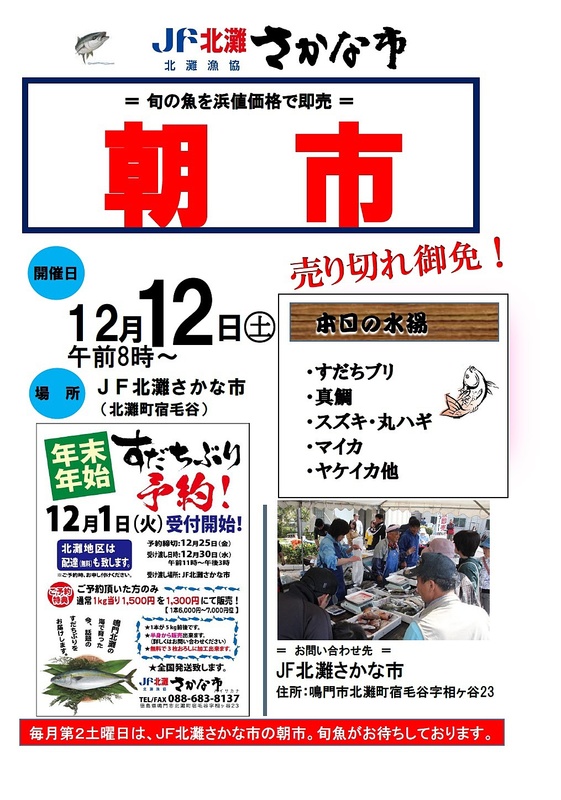 ◎Taimeshi, a fish fry "north rough sea fishermen's cooperative association woman part"
◎Chipped ice, French fries "dekopon garden"
Hot from the oven! Fried tubular fish meat "sawa"
◎Knife sale & knife grind "Sakoda knife"
We compare by comparing by eating, and drinking, and let's compete in taste! ※It is finished as soon as I disappear. I appreciate everyday patronage and hold it. I do bargain sale at the risk of losing money. 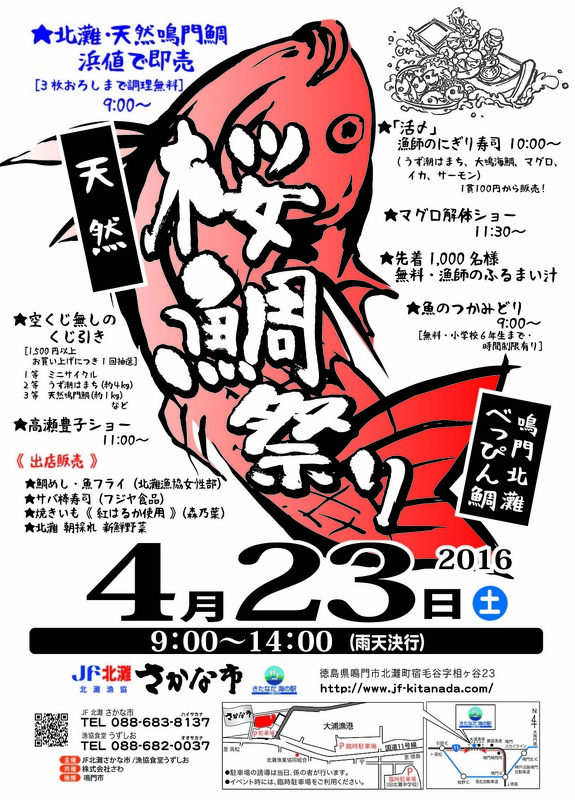 Please enjoy one "spring sea bream Festival" of this. 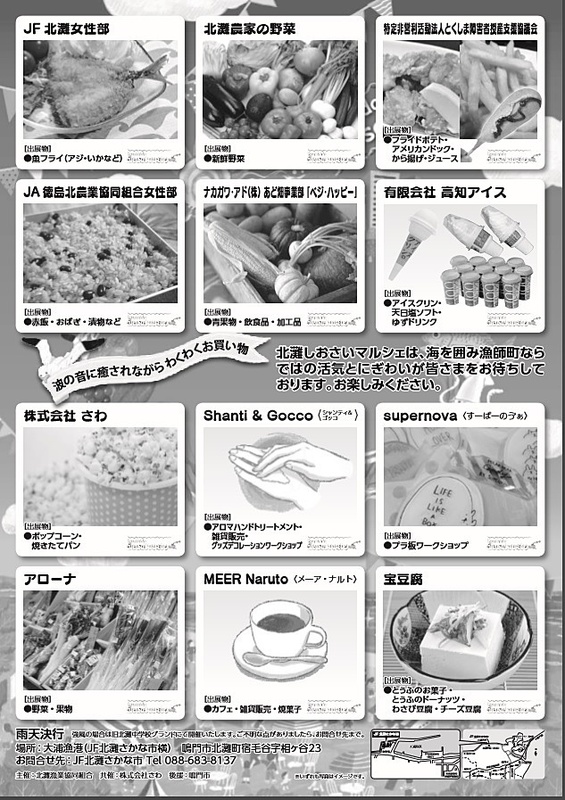 "Cooking is free until three pieces of lowering"
"I wait for prawns, a tuna, Thailand, a salmon, the whirling current"
"Once lottery because of a purchase more than 1,500 yen"
11:30 ... "bit music whirling current story, etc." "A north rough sea fishermen's cooperative association woman part"
Please bring a kitchen knife. ①It is fish nosurimiotsukemasu to bamboo. The first "harvest of seaweeds experience"
I did work to cut. I try it with shabu-shabu. It is experience-based contents of the madegakono business. I think that friendship of the happiness of the dining table spreads. It is food education, local production for local consumption promotion model business utilized the function of the direct sale place. One, Naruto Whirlpools of three major tides of the world. I assumed it the waist waist of "the seaweed of Naruto"
I was brought up in such an environment. ※I should finish acceptance as soon as it becomes the capacity. This business is food education, local production for local consumption promotion model business utilized the function of the direct sale place. After filling out a necessary matter, please reply. I take down a seasonal fish. I make it to assorted sashimi. ◎The fish's way of judging and the skill up of dishes! ◎A wonderful encounter, partner are found? "It is free until three pieces of lowering"
※It should be finished as soon as it is sold out because of a favorable reception. Handmade tuna and burger, pork tenderloin cutlet burger et al. "sawa"
An oyster meal, a fried oyster "north rough sea fishermen's cooperative association woman part"
A fresh vegetables "farmhouse of north Nada-cho"
Chicken sky with line green string lettuce, chicken tempura bowl and others "sawa"
Mackerel stick sushi "Fujiya food"
There might be the congestion a parking lot. Please use the temporary parking lot of the schoolyard out of the former north rough sea. I hold it at a ground. The ice of nado Kochi comes, too. I please tomento. I look forward to your coming. [process] The kitanada sea station JF north rough sea fish city "cheerful community improvement"
reru image became the form. ※I cook it until three pieces of lowering free. ※It may be called off by weather. Thank you for your understanding beforehand. I fry it and sell vertical burning hot o.
I cook it. Please get a prize with effort. A lot of fun looks forward to a visit. ★The delicious seasonal arrival of the natural sea bream! "Limit existence at time to free of charge, a sixth grader"
"I close katsu" and sell it from nigiri-zushi "1 kan 100 yen" of the fisherman! 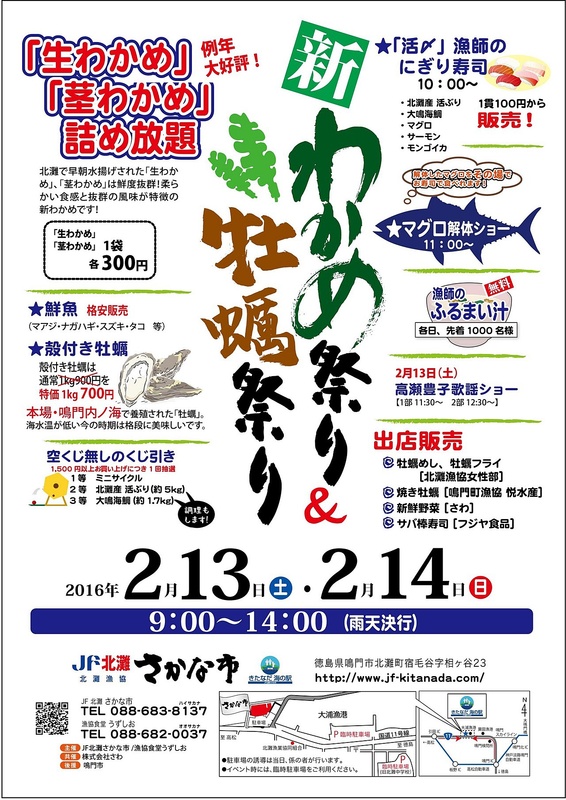 ★I nail it from 11:30 and prepare for the event only in the fish city including "a tuna dismantling show". 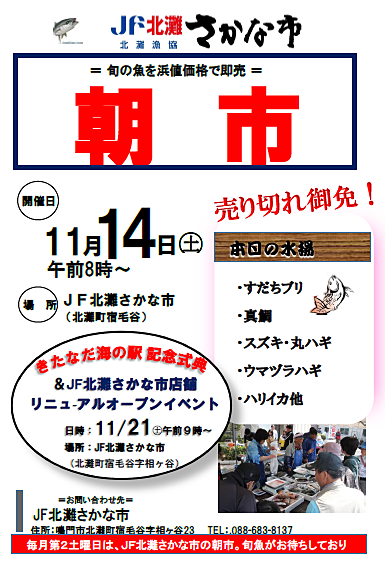 ★I offer a behavior stew of the fisherman only in the first 1,000 people free. Please enjoy warmly seasonal taste only by this time. 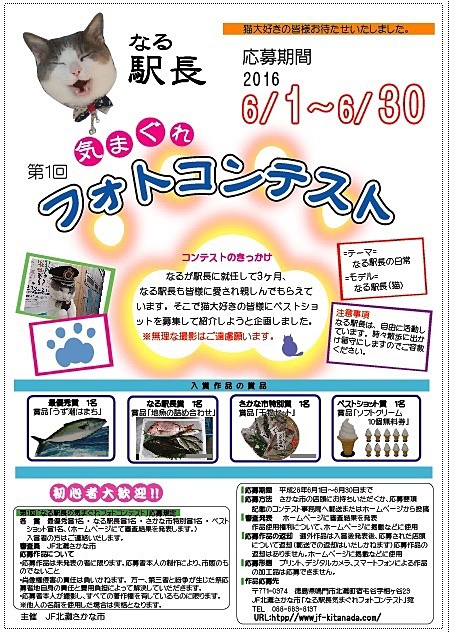 It transfixes the child from "rice cake arm throw" to be able to enjoy and 11:00 and prepares for the event only by the open event including "a tuna dismantling show". I offer a behavior stew of the fisherman only in the first 1,000 people free. 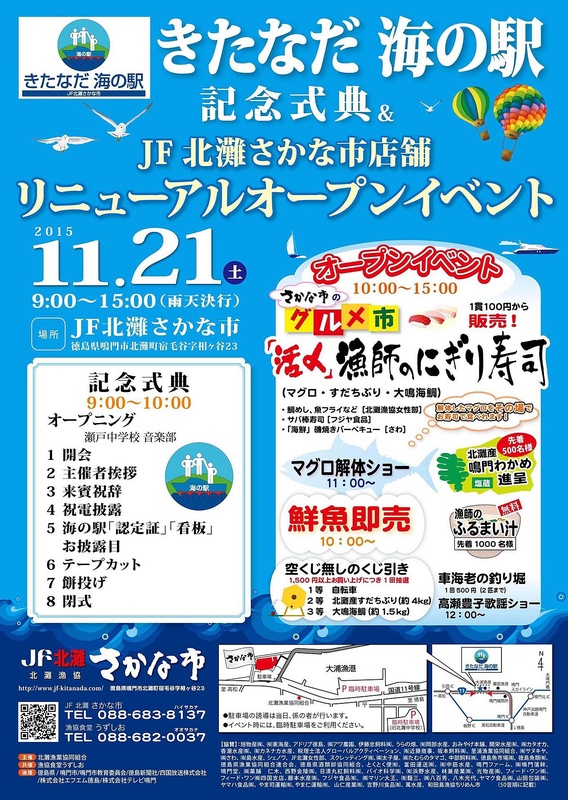 ★I nail it from 11:00 and prepare for the event only in the fish city including "a tuna dismantling show". Sold out pardon! I sell a seasonal fish on the spot at a beach level price! I hold the city "morning market" which is JF north rough sea Hill. I sell a seasonal fish on the spot at a beach level price! The holding of "the morning market!" The morning market of the every month second city which is JF north rough sea Hill on Saturday! I look forward. I leave the nest, and a yellowtail and a red snapper, a sea bass, circle bush clover, mica, tension cuttlefish and others, seasonal fish form a line! I leave the nest, and a yellowtail and a red snapper, a sea bass, circle bush clover, a kind of leatherfish bush clover, tension cuttlefish and others, seasonal fish form a line!